Hosting international blogger and speaker Bea Johnson in Montenegro for the launch of our reusable bags project. 14.06.2018: Guest in the show “With morning coffee” on television 777. Maša Tomković and Vanja Cicmil to invite citizens to attend the world-famous speaker Bea Johnson’s public lecture about the minimalistic lifestyle – June 25 in Cineplex, Podgorica. 08.11.2017: Damira Kalac Blog: Početak kraja upotrebe plastičnih kesa u Crnoj Gori? 30.08.2017: RTCG.ME: Budite volonteri, cistite obalu! In July 2017, Zero Waste Montenegro has launched a national petition to request the Government to ban single-use plastic bags in Montenegro by the end of 2018. The collected signatures will be sent with an open letter to the Ministry of Sustainable Development and Tourism presenting the negative impacts on health, environment, and tourism prone by the use of single use plastic bags. With the support of other NGO’s and organizations, Zero Waste will request our Government to follow the model of numerous other countries and ban plastic single-use bags. DamiraKalac Novembar – početak kraja upotrebe plastičnih kesa u Crnoj Gori? 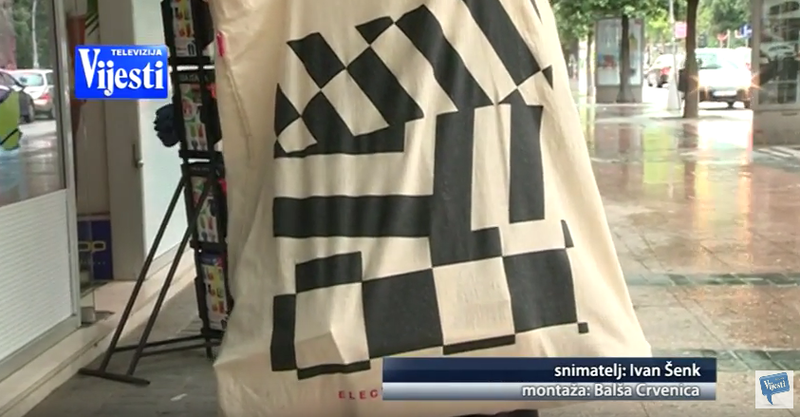 For the International Plastic Bag Free Day, Zero Waste Montenegro organized an action in Podgorica center to inform citizen about the danger of plastic bags in the environment.